To accommodate the different needs and demands placed on SUV tyres, Marshal has created the Matrac X3 KL17. This tyre has been specially designed to support even tyre wear at all times while effectively removing water to reduce the risk of aquaplaning in trick conditions. You will also enjoy less road noise and better grip on all surfaces so you can make sure your adventure doesn’t end when the road does. Matrac X3 KL17 tyres are the perfect choice for any situation. To accommodate the different needs and demands placed on SUV tyres, Marshal has created the Matrac X3 KL17. 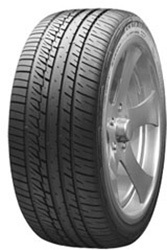 This tyre has been specially designed to support even tyre wear at all times while effectively removing water to reduce the risk of aquaplaning in trick conditions.You will also enjoy less road noise and better grip on all surfaces so you can make sure your adventure doesn’t end when the road does. Matrac X3 KL17 tyres are the perfect choice for any situation.